Your lunch game is going to be on point. 1. 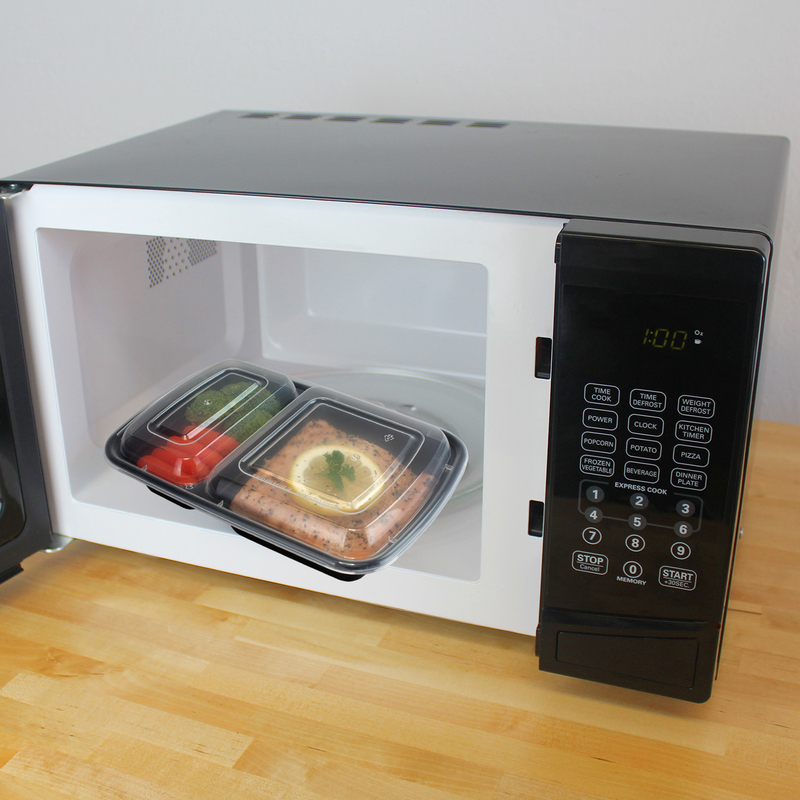 A mini Crock-Pot so you can skip the microwave line and heat up your leftovers right at your desk. It has a 20-ounce capacity. The removable vessel and lid are dishwasher-safe. Get it from Walmart for $19.94 (also available in green). 2. A veggie spiralizer for an easy way to whip up some tasty and refreshing zucchini pasta. It has four blade settings, from 2mm (angel hair) to 10mm (curly fries). Get it from Walmart for $19.97. 3. A set of pretty lunch containers with vents that'll make whatever you pack inside look even more appetizing. They're microwave-safe and top rack–dishwasher safe. Get a set of four from Walmart for $15.88. 4. A thermal lunch bag to secure your ~o-fish-ial~ title as the person with the cutest stuff in your office. It's large enough to hold three food containers. Get it from Walmart for $10.99 (available in four designs). 5. A bento box kit (complete with a carrying bag and flatware) so you won't accidentally leave your fork at home. The containers are leak-proof, BPA-free and dishwasher-, freezer-, and microwave-safe. 6. A large, insulated floral tote with enough room for more than just your lunch. Get it from Walmart for $19.98. 7. An adorable owl snack box that'll have your co-workers asking, "Hoo-hoo-hoo does this cute container belong to?" It's made with food-safe plastic and is microwave-safe with the lid off. Get it from Walmart for $6.43+ (available in four colors). 8. An insulated food jar (with a spoon) to keep your chicken noodle soup hot for the entire workday, even if it's freezing in your office. This 16-ounce jar can keep contents cold for nine hours and hot for seven hours. 9. A set of wide-mouth mason jars so you can prepare tasty and aesthetically pleasing meals for every day of the week. 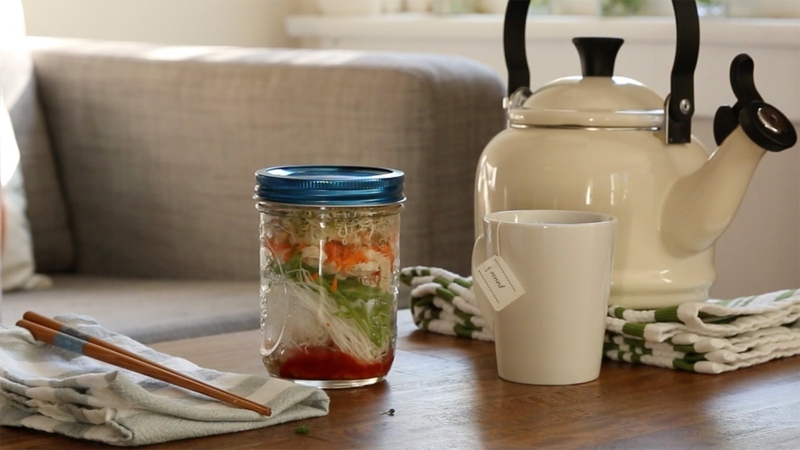 Check out the recipe for miso noodle soup in a mason jar and other mason jar hacks! Get a 12-pack from Walmart for $9.83. 10. A mini pie and quiche baker for an easy way to up your lunch game without firing up the oven. It has a non-stick interior for easy cleanup and can finish cooking in less than 10 minutes. Get it from Walmart for $29.95. 11. 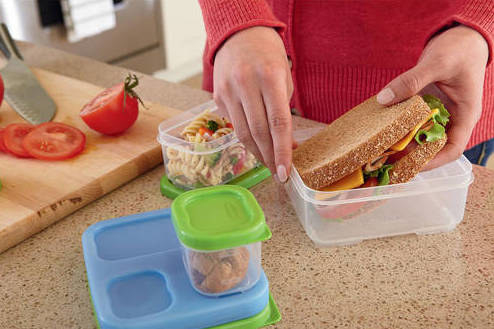 A sandwich kit with containers that can snap together and won't slide around in your lunch bag. The ice pack can also snap onto the containers to keep the food cold. These are freezer-, microwave-, and dishwasher-safe. Get it from Walmart or Jet for $6.99 (also available as an entree kit). 12. A set of sandwich cutters your inner child will seriously appreciate. The shapes include dinosaur, dolphin, heart, star, and train. Get a set of five from Walmart for $7.49. 13. 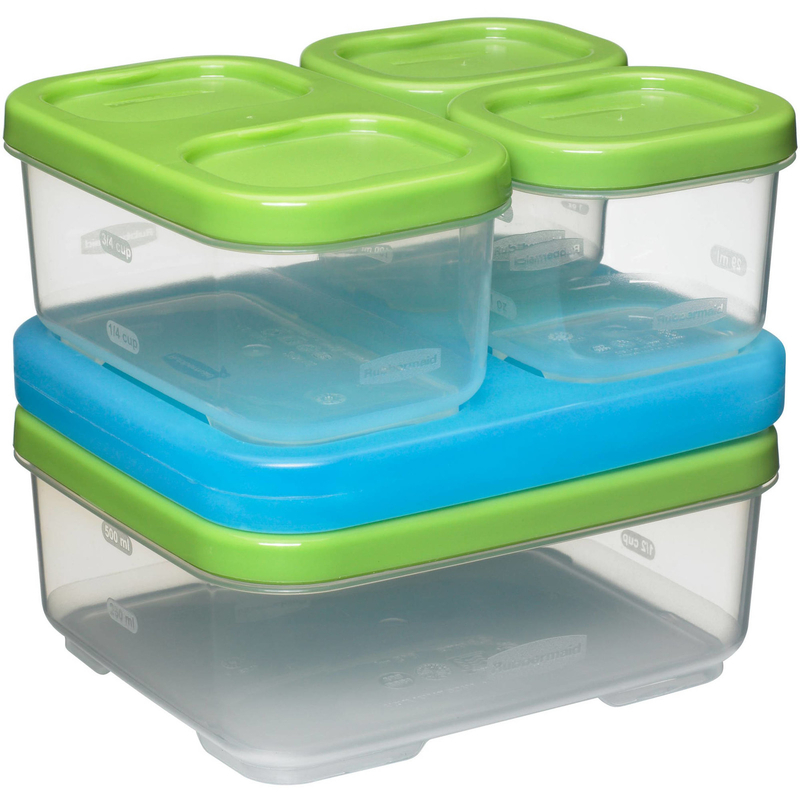 A complete container set (with ice packs) so you can pack whatever you feel like, whether it's soup, salad, pasta, rice, or a sandwich. This set includes: two side containers with lids + ice pack, one soup container with a lid, two sandwich containers with lids + ice pack, and one salad container with a lid (removable tray and dressing container inside) + ice pack. Everything is leak-proof, BPA-free, dishwasher-safe, and microwave-safe. Get a 17-piece set from Walmart for $21.54. 14. A fruit and veggie bowl for enjoying a light and nutritious snack on the go. It comes with an ice pack to keep the contents cold. Get it from Jet for $12.99. 15. An insulated TARDIS lunch box that'll keep your food cold (or hot) even if you travel to another time and space. Get it from Walmart for $11.91. 16. 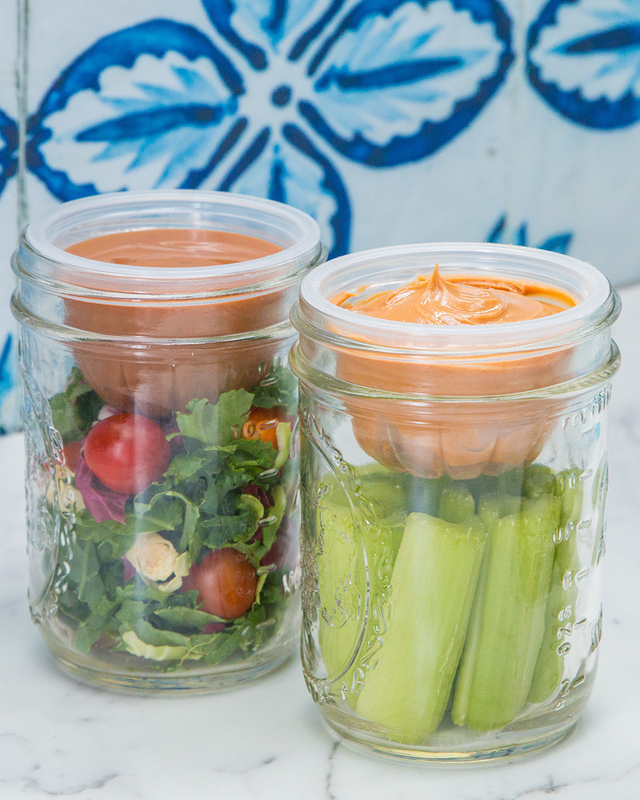 A set of stackable twist-and-lock jars you can fill with a variety of snacks to munch on throughout the day. They're BPA- and phthalate-free and top-rack dishwasher-safe. Get it from Walmart for $10.99+ (available in eight colors) or Jet for $12.25 (available in six colors and five styles). Get a 100-pack from Jet for $3.99. 18. Or, a reusable zipper bag for an eco-friendly way to pack a sandwich, fruits, and dry snacks. They come in a bunch of different designs! These are made with food-safe EVA. It is PVC-, BPA-, phthalate-, latex-, and lead-free! They can be hand washed in warm/hot water with dish soap or machine-washed in cold water. They are also top-rack dishwasher-safe. Get it from Walmart for $6.95 (available in 40 designs). 19. A travel container that would work for parfaits, salads, and even sesame noodles. The best part is it'll fit in your car's cup holder. Get it from Walmart or Jet for $4.50. 20. 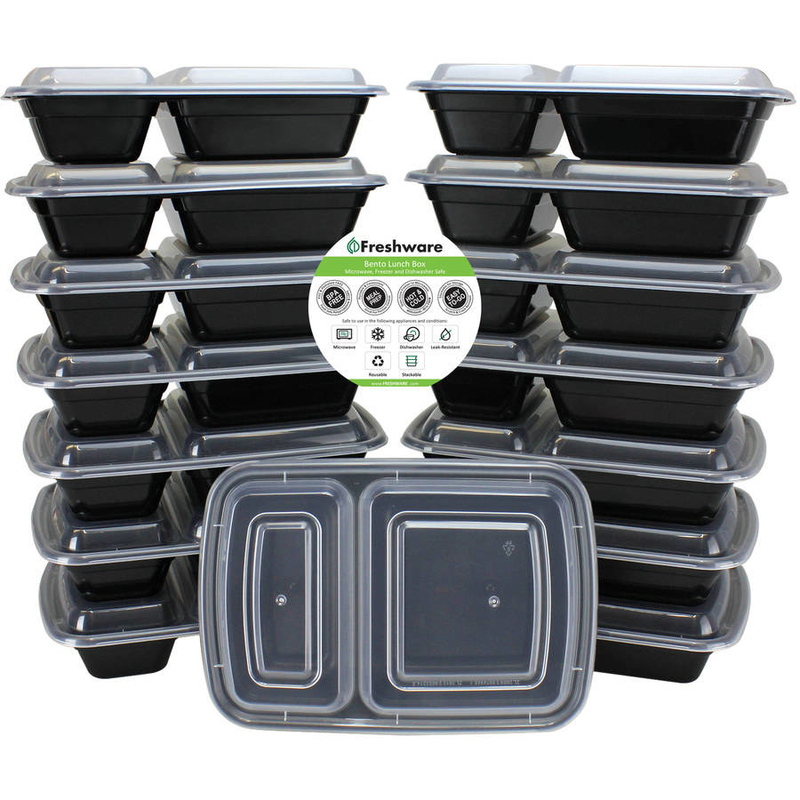 A pack of reusable meal prep containers, if you prefer doing all your cooking over the weekend and have lunch ready to go for Monday through Friday. These are BPA-free and microwave-, dishwasher-, and freezer-safe. They have two compartments. Get a 15-pack from Walmart for $13.47.